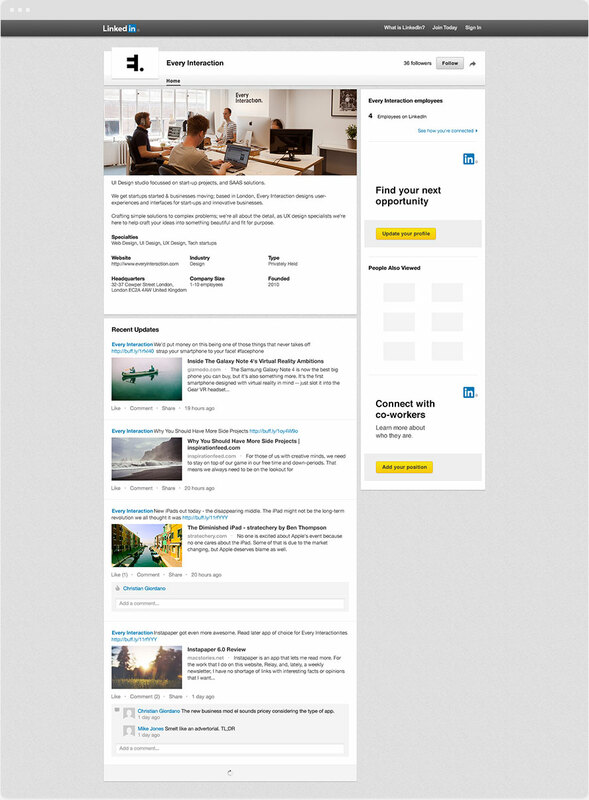 LinkedIn are currently trialing a new layout, still in beta. You can download this newer GUI template here. Designed to make it easy to test your avatar & cover image design before putting live. Just modify a few smart objects inside the .psd file or Symbols page and see how your page should look quickly. 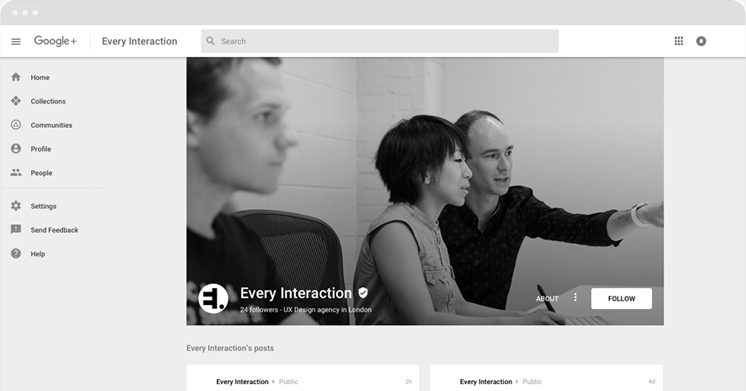 The LinkedIn UI is fixed width so the artwork is fixed width and only visible on the desktop. Only the avatar carries across to a mobile and is generally seen at consistent six in all locations. The current design has the cover image completely clear so use the space at your discretion. 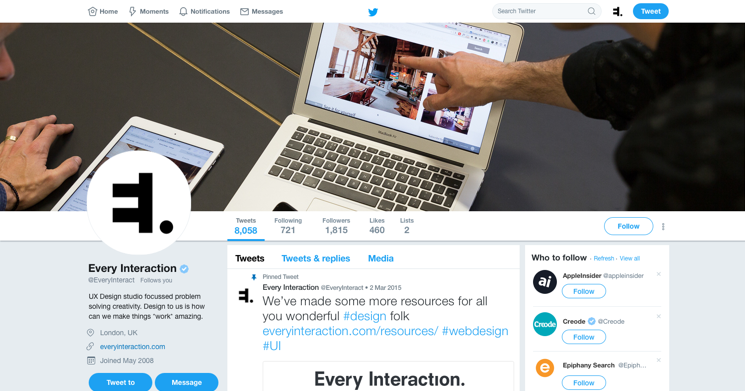 Bear in mind there is no responsive web UI at present, so if users do visit the profile in a device browser they will be pinching & coming around, so we do not recommend putting small text or long line lengths in this space – better to keep it bold and visual. Photographs or rich illustrations work best to help bring the page alive somewhat in what is otherwise a fairly drab UI. The profile images you need to create a little unusual for LinkedIn. The standard Linked page avatar size is 100 x 60 px, and is only used on this page, in one place at the top. When adding the avatar file to the profile you also need a square 50 x 50 px image which is used as the avatar displayed in the news feed. For the purposes of the page mockup we’ve just left the 100 x 80 size in the page, but be sure to create both sizes when preparing your files for upload. The cover image is 646 x 220 px.